We get asked to review a lot of products but it is not often that the the pups go crazy for what has been sent. 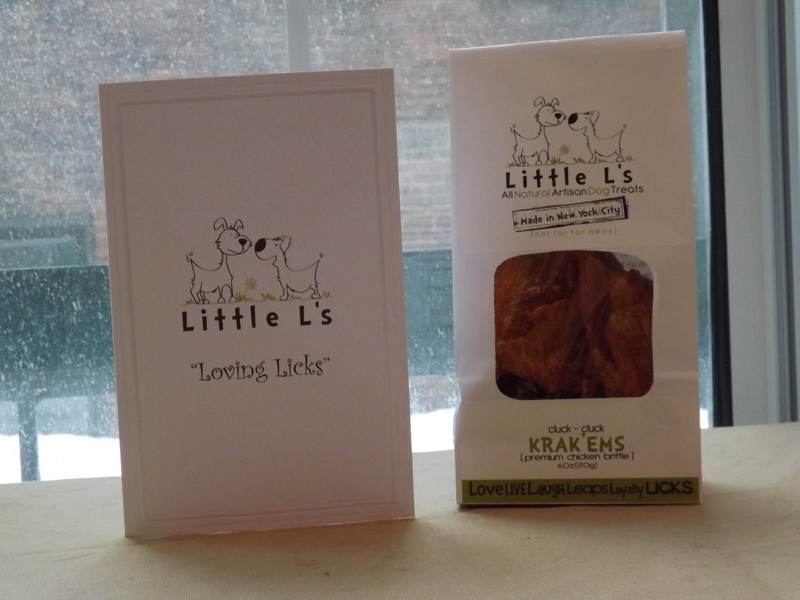 That was absolutely the case with Little L’s Krak’Ems (or puppy crack as we took to calling it in the office!! )I have never seen such craziness when all puppies tried to wrestle the package open (before the mailman had even left!!). 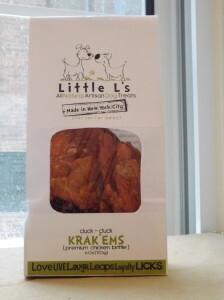 The puppies addiction aside, we adored this product. 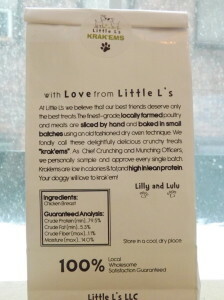 The packaging was so streamlined, the “blurb” on the back so perfect and it was not just made in the USA, nor just made in New York State, but made right here in Manhattan!!! Whoop whoop to local business. 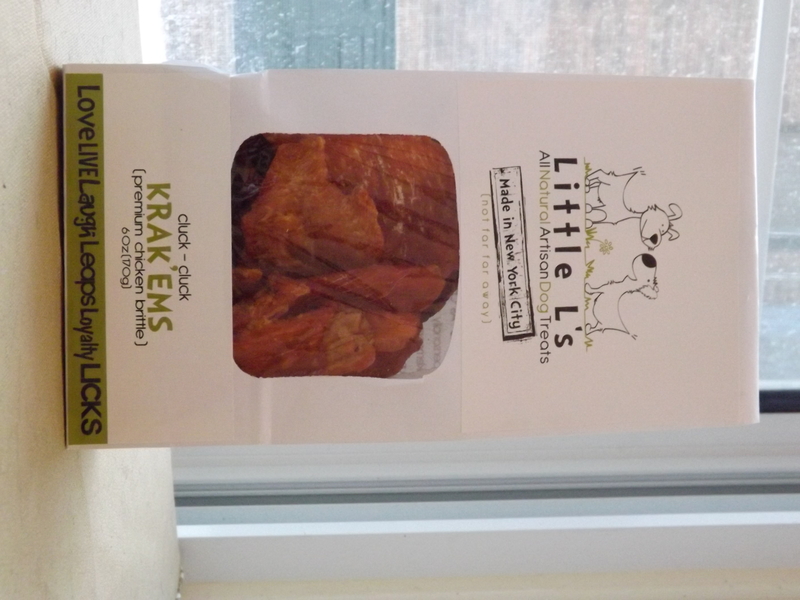 These treats are all natural, organic and made in small batches so quality control is at it’s highest. 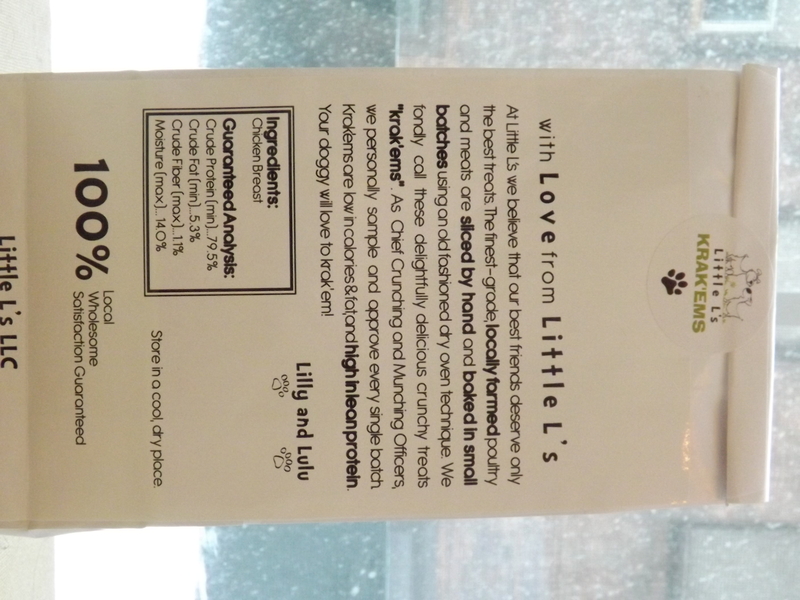 The time, energy and love that goes into each product is evident and I really credit Little L’s for creating an affordable yet healthy treat that is suitable for dogs of all sizes. 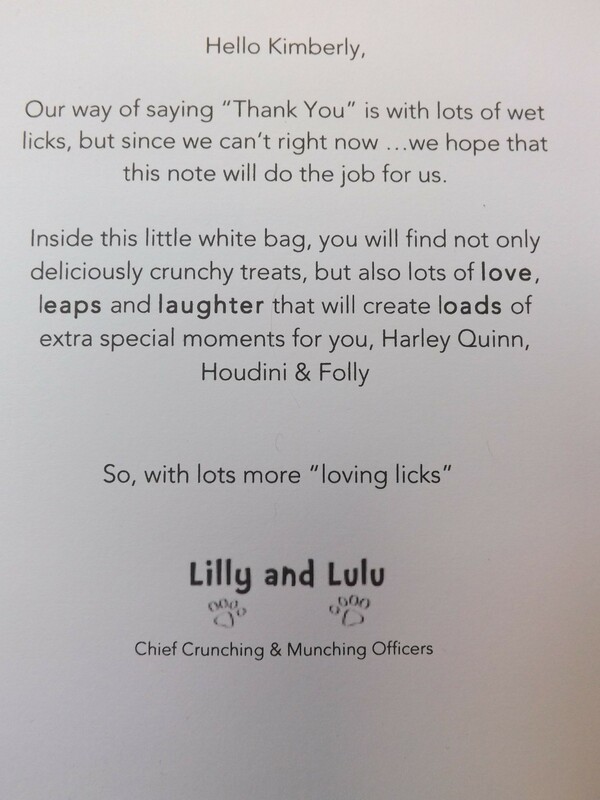 The personal touch was really made evident with the gorgeous card enclosed with the treats. 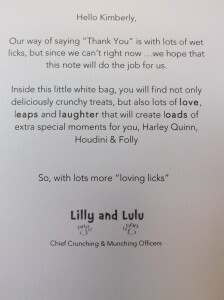 It is not often that a business will be so lovely and personalize a message for the dogs and myself!